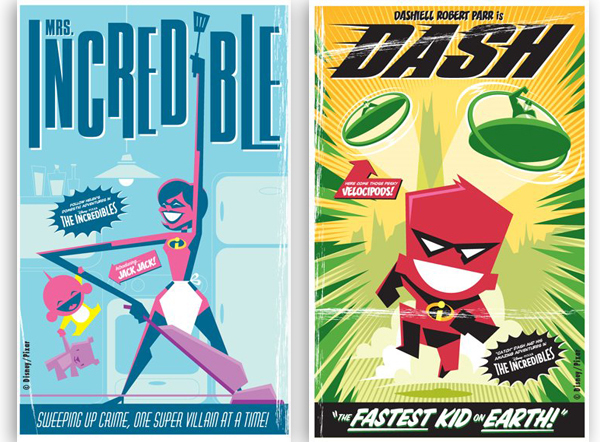 My son has been on an Incredibles kick lately ( I think we have watched it 10 times this week and it is only Tuesday.) 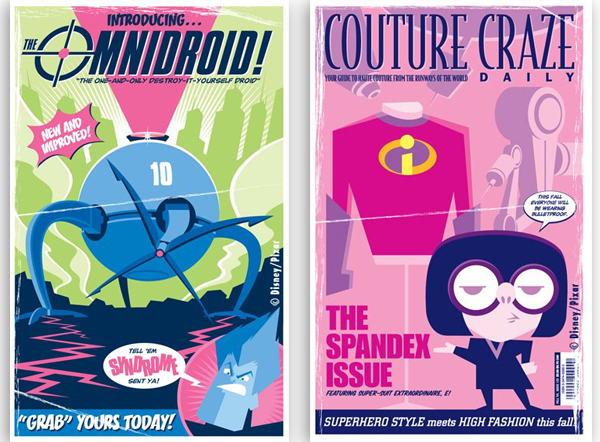 I saw these retro renderings of the movie and found them pretty cool. Even though this movie came out way back in 2004 it is still one of my all time favorites. COME ON PIXAR, WHERE IS THE SEQUEL? 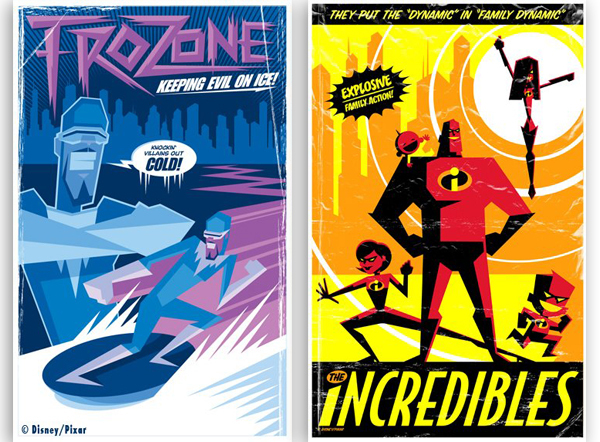 This entry was posted in Art, Pixar, Pop Culture, Posters and tagged Dash, Frozone, Pixar, Retro posters, The Incredibles. Bookmark the permalink. These are fantastic. I have tried to contact Eric Tan but can’t find ANY info on him. You have anything?